JOSE MOURINHO and Jurgen Klopp launched into a furious touchline row in the dying stages of Manchester United’s draw with Liverpool. 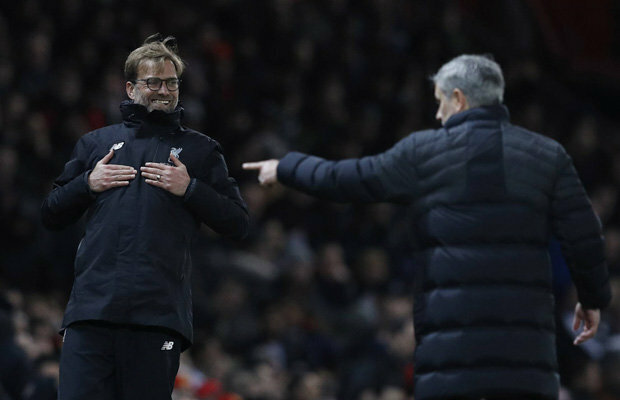 Tempers flared at Old Trafford in the dying stages of the pulsating clash.Jurgen Klopp was furious with rival Jose Mourinho for trying to get his man Roberto Firmino sent off. Man United midfielder Ander Herrera pulled back the Brazilian while he was breaking clear up the pitch. Referee Michael Oliver awarded a foul and Firmino pushed Herrera in the face. 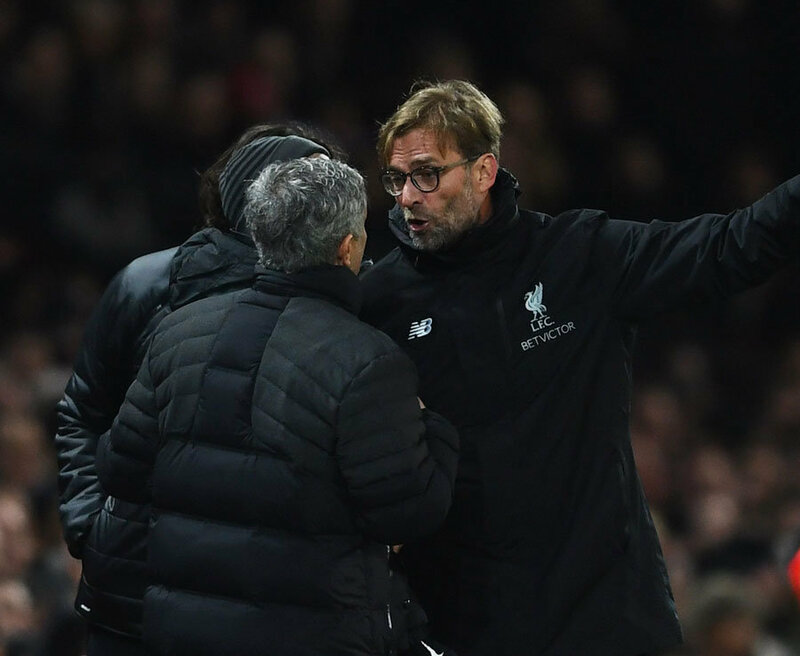 Both players got yellow cards, butMourinho seemed to want red.He let it be known on the touchline – and that infuriated Klopp, and the two managers launched into a bitter row before being separated. 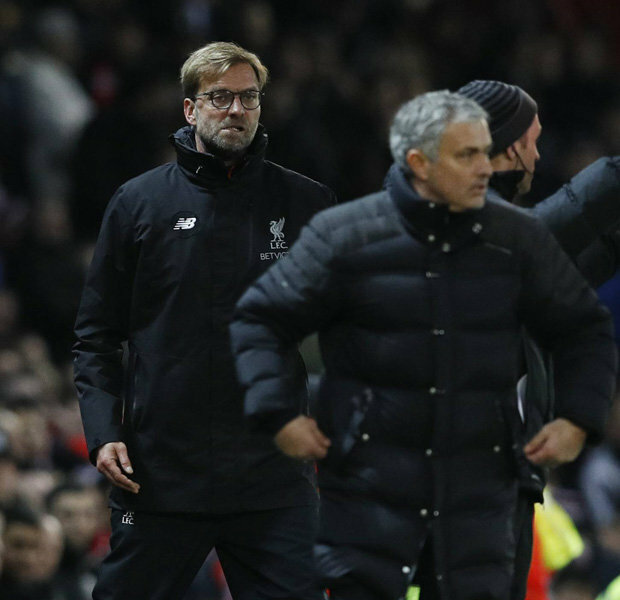 After things cooled down, Mourinho put his thumbs up to Klopp, but the Liverpool manager ignored him. 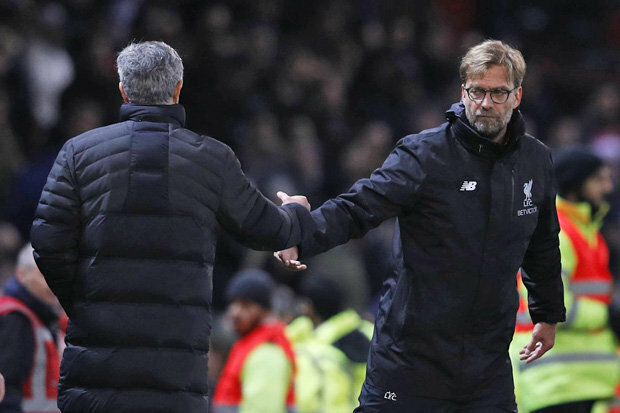 However, Jose Mourinho and Jurgen Klopp exchanged a brief handshake at full time.